It’s official. Sega has set the date for AvP as February of 2010. Not sure how long it’s been on the site either but it also shows a thumbnail of some boxart. This has been confirmed as a placeholder. Im waiting both games. Great news btw. 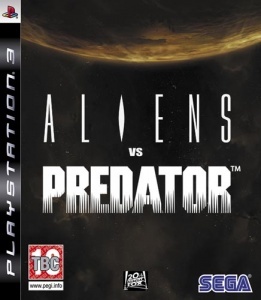 Actually looks like the the original AVP or the gold edition case. a little. Looks good. I actually love the boxart. A lot of people go "Oh it's too simplistic" and I just say "yeah, that's why it's so cool" It reminds me of the beguinning of ALIEN. nice box art, simple covers are often the best! hope it stays that way. We strike without warning. We kill to survive. YES Awsome, Also Game.co.uk heres the deate 26/03/2010.